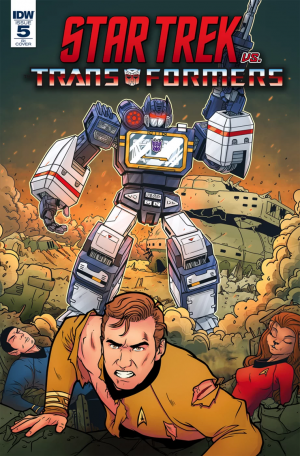 IDW & January 2019 Solicitations Spoilers: Star Trek Vs. Transformers Explosive Finale! Star Trek Vs. Transformers Explosive Finale! Solicitation and cover below. – The Transformers ‘80s cartoon series meets Star Trek: The Animated Series in a no-holds-barred Saturday morning mash-up for the ages! – Demand was so high, we’re doing another issue!